Dresden is divided in two, the Altstadt (old city) and Neustadt. Neustadt is on the right banks of Elbe river. I spent few days in Dresden on my Europe trip, my sister lives there so I got her accompanying me to Dresden Neustadt. 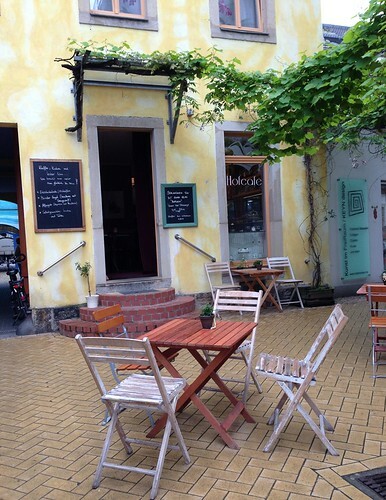 She said the Neustadt is for young people as there are many cafes, unique 'indie' shops, well I said it's hippy! 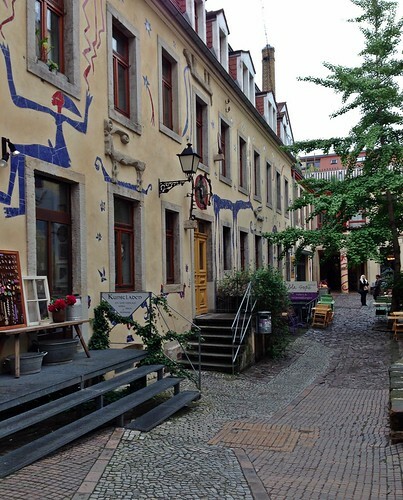 It's way different than the old city, I came to visit in the mid-day, it was quiet, not crowded, unlike the altstadt that always crowded with tourists. My sister said it is usually get more crowded at night, mostly with young people. 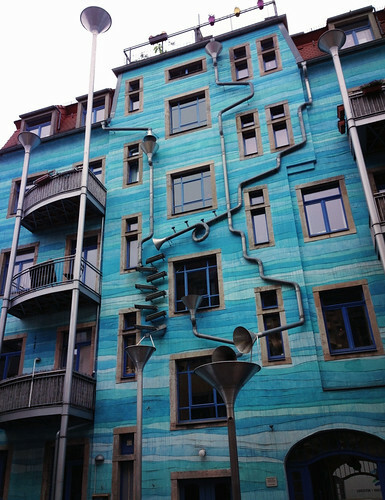 Regenwasserspiel - Musical Rain in Dresden is famous among tourist, the house is located in Neustadt Kunshofpassage, an area that is part of art project called the Courtyard of Elements. Dresden Neustadt is one station from Dresden Hauptbahnhof (main station), you can take the train from Dresden Hauptbahnhof or take a city tram. But you can also walk from the main train station to Prager Strasse, follow the street to the altstadt until reaching a big bridge, neustadt is across the river. Dresden is a beautiful place, you won't get bored walking around the city.